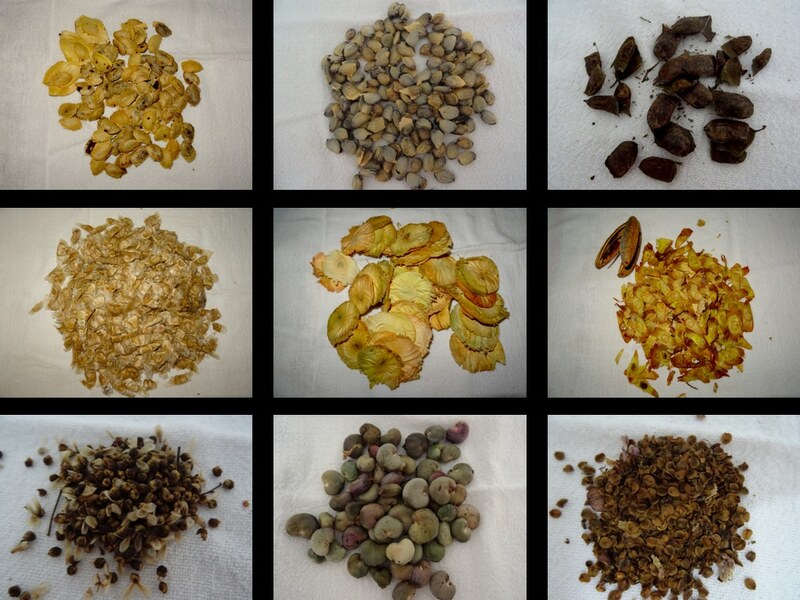 This gorgeous image, taken by our Forest Engineer Carlos Eduardo, shows the plethora of different seeds that are currently being collected in the region of Caseara (Tocantins) in Brazil. Selecting and cultivating the right mix of native trees is a fundamental step of ecological restoration, and so the BJF team in Brazil is expertly refining the art of seed collecting. These seeds are to be safely stored and used by the end of the year to initiate BJF’s ecological restoration.We are creating a portfolio of species of seeds that will allow us to give form to the Araguaia Biodiversity Corridor. The different species are collected in a number of different ways. At our Santa Fé farm, Carlos Eduardo uses his expertise about the forests in this region to harvest local seeds that have germinated. We also acquire specialized seeds from sources such as the Amazon Seed Network or universities such as the University of Goiás (UFG).